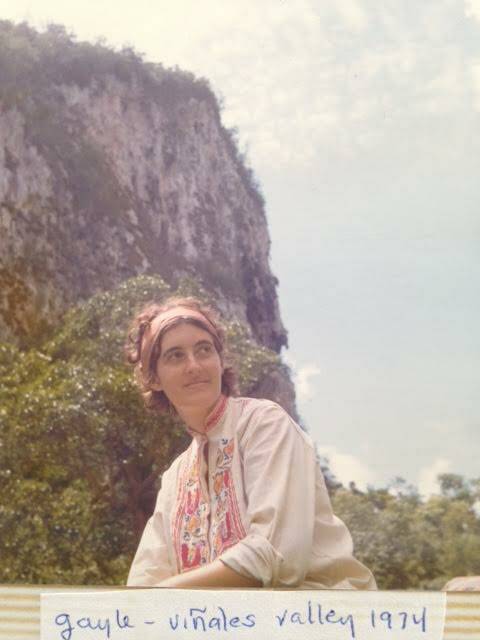 Forty-two years ago I was introduced to Cuba and Chile in one week. Forty-two years later, on July 20, 2015, (fifty-four years after the US broke off diplomatic relations with Cuba), diplomatic relations were re-established between the two countries. Thank you President Obama. That same week, several Chilean military officers were indicted for the 1973 torture and murder of Chilean singer-songwriter Victor Jara. The re-establishment of US-Cuban relations and the indictment of Chilean military officers was a double happiness for me. Here’s why. This is who I was (and wasn’t). It was 1973. I was 26. I was never a political science major. I did not have a degree or even a deep interest in Latin American studies. I was never a member of any Communist Party (and that said, screw you Senator Joe McCarthy and your hideous 1950s witch hunt – HUAC – and destruction of a lot of good peoples’ lives). I was a teen Democrat. I became “radicalized” (which means my heart was broken open and I was forever changed) in the mid-60s as a result of Jim Crow, the Civil Rights movement, and the Vietnam war. (Some childhood girlfriends of mine, now high up in the Arizona State Republican Party, referred to this as the time I “went off the deep end”. I consider this the time I cried myself to sleep most nights for two years contemplating our military dropping bombs in Vietnam). Eventually I learned about and developed affection for the Cuban Revolution. I had no agenda. Just a strong sense of justice for all, and profound sadness that as far as I was concerned, the USA was no longer carrying that banner. My then-boyfriend, later, husband, and now, good friend Lincoln Bergman and I were in Mexico City when the Chilean coup took place on Sept. 11, 1973. Four days later we arrived in Havana, where we would be living and working for the next year. A little background: Lincoln had been news director at KPFA when he travelled to Cuba in 1971 on a journalists’ delegation, and met the director of the English language department of Radio Havana Cuba, a great guy named Santiesteban. It was a fast friendship. The invitation to work there came a short time later. Lincoln and I were newly in love, and I couldn’t bear to think of his leaving for a year. I was a nurse; maybe I could work there as a nurse? He wrote Cuba to ask if I could come. They replied, Only if she is willing to also work at Radio Havana for the year. Wow. You don’t get a job offer like that every day. We went. There was a shortage of housing in Cuba at the time, so we were lodged on the 14th floor of the Hotel Capri, built by George Raft in the 1950s. A little bit fancy, but there were clues to the state of the economy. For instance, no toilet seats on the toilet. A few blocks toward the Malecon, our new friends, Robert Cohen and Margaret Randall lived with their four children. In friendly welcome, Robert invited us over. Margaret was away writing in Peru, but he and the kids were home. The children were wonderful, splendid, in the way that Cuban children generally seemed to be — warm, confident, and expressive. Sara was the second eldest, maybe ten or eleven. Her face was tear-stained; she was deeply sad, grieving. News had just arrived. Victor Jara, her favorite singer had been tortured and killed. His was the only music on at the Cohen-Randall home that day. I listened, imbibed it as if through Sara’s broken heart. He was such a gentle soul, a beautiful being. His words were so honest, fierce, loving, lyrical, longing, hopeful. In the course of our year in Cuba, we became familiar with Chileans, Cubans, and Vietnamese (whom we also worked with). We witnessed and participated in the internationalism of the Cuban Revolution. I’m not saying Cuba was perfect. The young Cuban revolutionaries were smart, and, I felt well-intentioned, but had never governed a country before. They had overthrown the brutal, cruel, and racist Batista dictatorship, and needed to shift from waging guerrilla warfare to running a government. Personally, I’m not ok with any kind of dictatorship, even if it’s called the dictatorship of the proletariat. (I’m also not ok with our democracy being bought, and made un-democratic by corporations here in the US). I had doubts, but there was also evidence everywhere of the benefits of the revolution. I judged what I saw with my own eyes. Excellent health care. Education. Bright, lively children. We were free to go where we wanted, to speak with whomever we wanted. (For the record, we did not ask to speak with political prisoners). The people we saw and met the length of the island seemed vibrant, decently fed, clothed, educated, happy. There was a lot of music and dancing. Not just young people. House parties. Grandmothers dancing with their grandsons, everyone having a great time! If we asked eight-year olds questions, we got enthusiastically articulate answers! I grew up thinking the USA was perfect. I truly believed it. Then I learned about “de facto” segregation and Jim Crow. I knew that Negroes lived only on the far south side of town, and came to central and north Phoenix only to clean houses, and I suppose to do other similar jobs. I already knew about the “Indian School” on Indian School Road in Phoenix, where indigenous children were taken from their homes and families to be “educated” and also worked as “domestics”. A big chain link fence surrounded the “school” grounds. It looked like a minimum security prison. Somehow I thought that was normal. When I was 17, Vietnam came into terrible focus. The kids at my high school (in Goldwater’s neighborhood) wore “Barry Goldwater for President. Bomb Hanoi” campaign buttons. The US also had its hands in Cuba, Grenada, El Salvador, Guatemala, Nicaragua, Cambodia, Laos, and other places. Some were direct invasions by the US; others were support for brutal dictatorships, like Chile (where, not only Victor Jara, but many thousands of Chileans were tortured and murdered by the US-backed junta that overthrew the democratically elected Socialist Salvador Allende). Saying that corporations are people? How messed up is that? Not one person from Wall Street imprisoned for corrupt banking practices that almost brought down our economy, that literally ruined hundreds of thousands of lives?? And Citizens United??? Don’t get me started. I felt this love when I lived in Cuba. I heard the deep love in Victor Jara’s words and voice! I still grieve his terrible death. I celebrate the Chilean military being brought to trial. I celebrate the US and Cuba re-establishing diplomatic relations. Steps in a good direction are all we can take. We should keep taking them. And celebrate when we do! Yahoo for celebrating this day Gayle. May we all be guided by a great feeling of love. Thanks Sue for your great “rant”. No apology necessary. Everything you said is true. For me, I think we need to be able to look clearly and directly at the “negative stuff” as well as acknowledging the positive steps being taken, whenever and wherever they are. Because we NEED celebration in our life too! Otherwise, we might tend to become grim and cynical, which is of no benefit to anyone. But if we don’t look at the “negative stuff” we won’t see it at all, and won’t be motivated to work to change it, then change it! Then, celebrate.! much love, g.
ps. take a look at my last post on Life’s Longing for Itself.. because I think you can see that, despite reactionary forces in the world (the political right-wing in this country, Fox news, certain corporations, Wall St., white cop on people of color violence), things actually have changed to some extent, and especially in the younger generations, who, generally-speaking, I believe are much more tolerant and accepting of the “other” than their parents and grandparents. This is a very good, positive development, despite an exceptionally deep streak of racism, homophobia, misogyny, anti-semitism, and gun violence in this country. It’s a mixed bag, but not all bad, and some stuff downright worthy of celebration. xo, g.